“Game of Thrones” is one of the most popular shows (and book series) in the world right now, but we’ve always had a sneaking suspicion that it was meant to be filmed in Alaska. 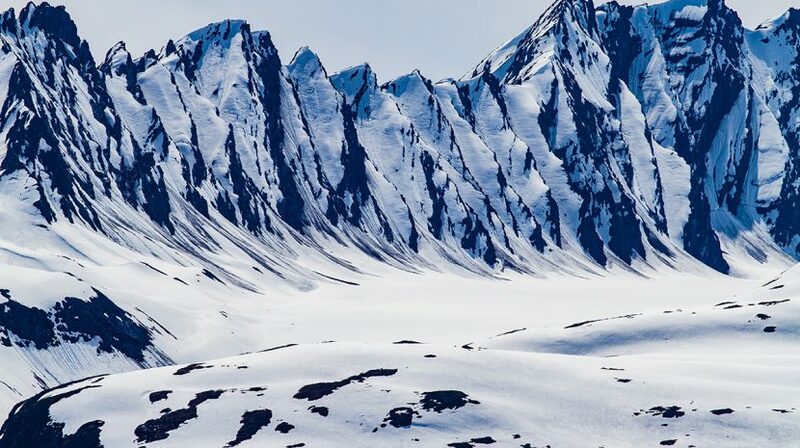 In honor of the sixth season premiering April 24, here’s our pitch for why Alaska would be the perfect place to film “Game of Thrones,” with some very specific set locations. We’re looking at you, season seven! In the show, the Wall protects the Seven Kingdoms from everything from Wildlings to the mythical and dreaded White Walkers. It’s hundreds of feet tall and made of pure ice. Coincidentally, Alaska is home to Gates of the Arctic National Park, more than eight million acres of preserve in Alaska’s Arctic. Two peaks, Frigid Crags (a “Game of Thrones”-worthy name if we’ve ever heard one) and Boreal Mountain, have been dubbed the gateway to the state’s “ultimate wilderness.” If that doesn’t sound like the land beyond the Wall, we don’t know what does. It’s obvious to us that Anchorage, the state’s largest and most bustling city, would be the set for King’s Landing. Like King’s Landing, Anchorage enjoys a mild, pleasant climate and was given its name as a place for ships and boats to dock. Instead of the Kingsroad running north and south through the city, we have the Seward Highway. And while King’s Landing is built around three hills, Anchorage is nestled at the feet of the Chugach Mountains. In the show, the Dothraki Sea is not a sea at all but a vast region of plains covered in grass that the Dothraki people navigate. You’d be hard-pressed to scout a better filming location for this than the Alaska tundra: huge, flat areas of land that are completely treeless and covered in grass and low-lying plants. The tundra is also great for migration, so the Dothraki can ride their khalasars to their heart’s content. Fairbanks would make the perfect setting for Winterfell, the fictional kingdom in the North that knows winter like no other. Located in Interior Alaska, Fairbanks has a very different winter experience than communities in the Southeast and Southcentral regions of the state. The season is longer and darker there, giving residents perhaps an even greater appreciation of both the phrase “Winter is coming,” and when summer arrives. So the next time you visit Alaska, see for yourself why HBO and crew should do some “Game of Thrones” scouting in Westeros’ North America’s Last Frontier.